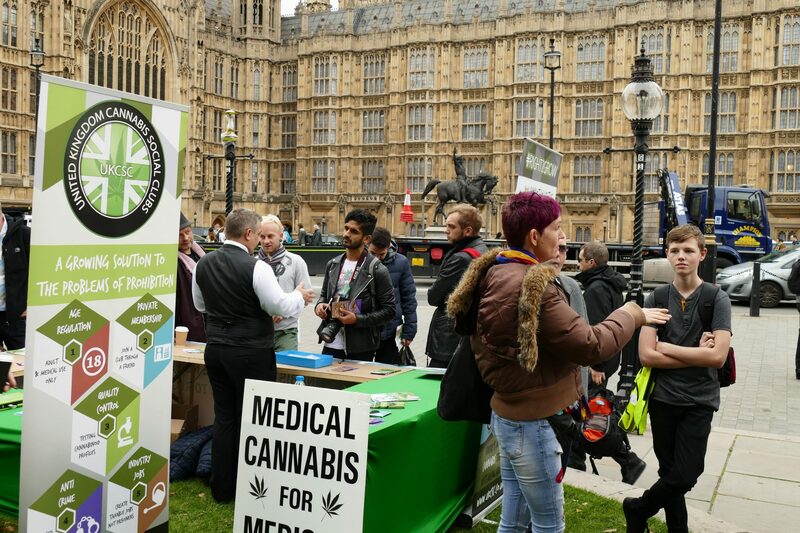 We attended the Patients at Parliament protest this week, which was organised to support Newport, south MP Paul Flynn who recently invited medical cannabis consumers to come to the houses of Parliament and openly consume cannabis to protest the archaic classification of what he called “the oldest medicine in the world”. 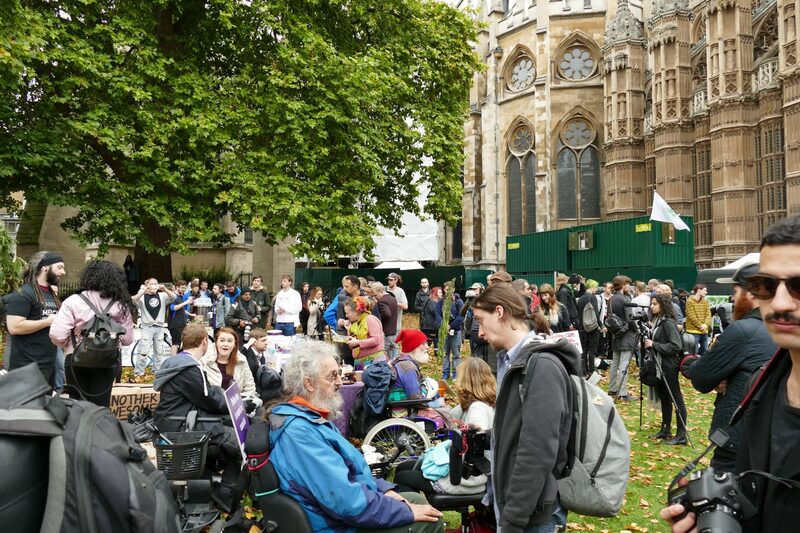 The event, organised by the United Patients Alliance, an organisation that campaigns for sufferers of chronic conditions to be able to access medicinal cannabis the UK arranged the coinciding protest which took place on the George the fifth square opposite parliament. 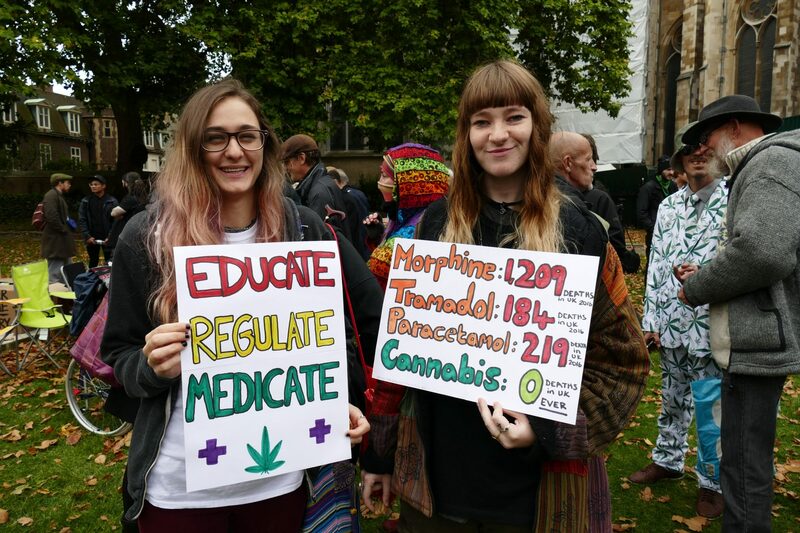 This protest was also twinned with a similar event which took place in Northern Ireland at the general assembly in Stormont, where campaigners met up to show solidarity with the protest taking part in Westminster and adding their voices to the demand access to cannabis for medicinal uses. 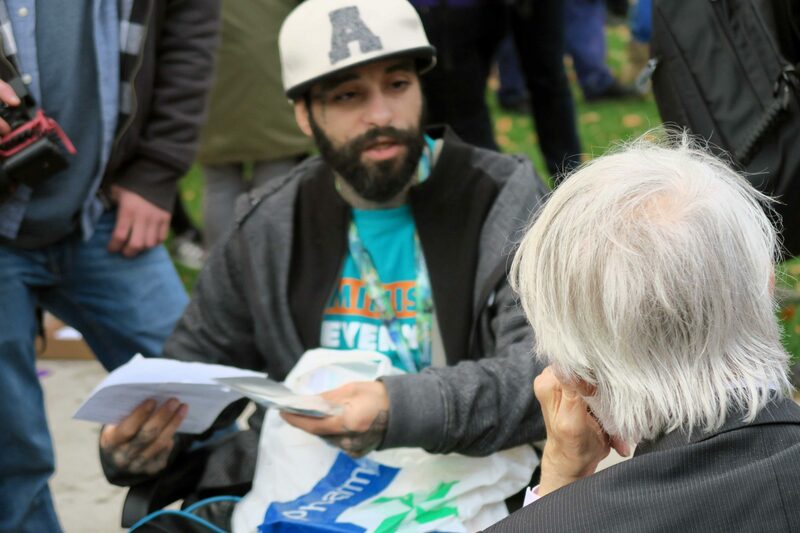 The day’s festivities got underway around noon outside of the house of commons as some of the movers and shakers of the cannabis community congregated to do interviews and pose for journalists photographs. 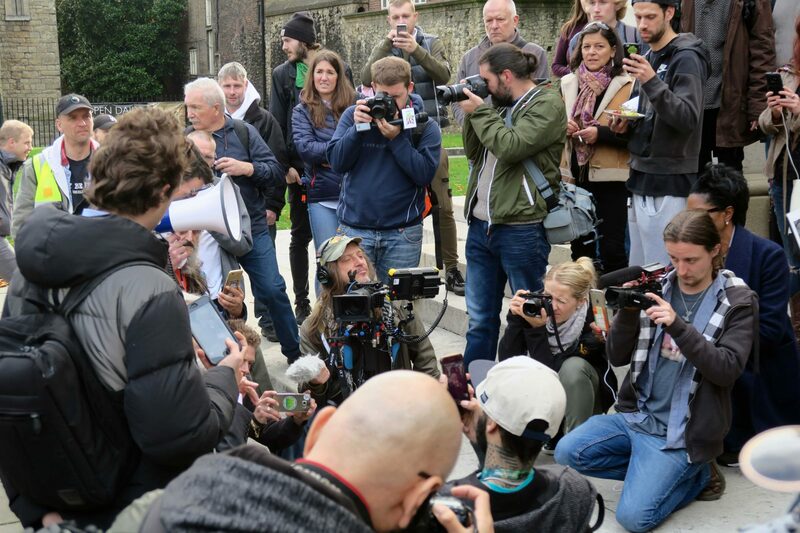 There was an impressive collection of national and international news outlets that had also arrived on mass to document what could potentially be an historic day and important stepping stone in the British public’s fight to legalise cannabis not just as a medicine but also for all adults to rights to be able to consume cannabis recreationally. 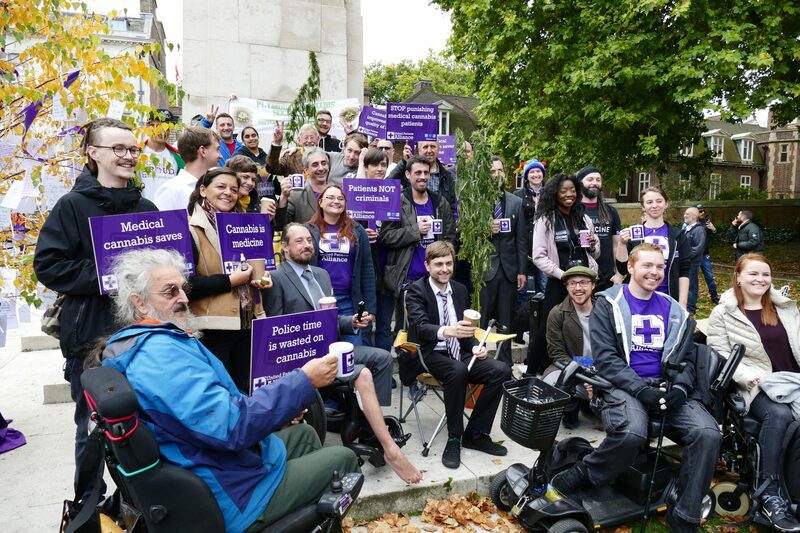 The protest, which was an act of “very civil disobedience” took place in the form of a medicated tea party with the UPA providing a wide selection of medicated, non-medicated, Vegan and gluten-free cakes, scones, chocolates and many more moreish munchies being gifted to attendees by other protesters. 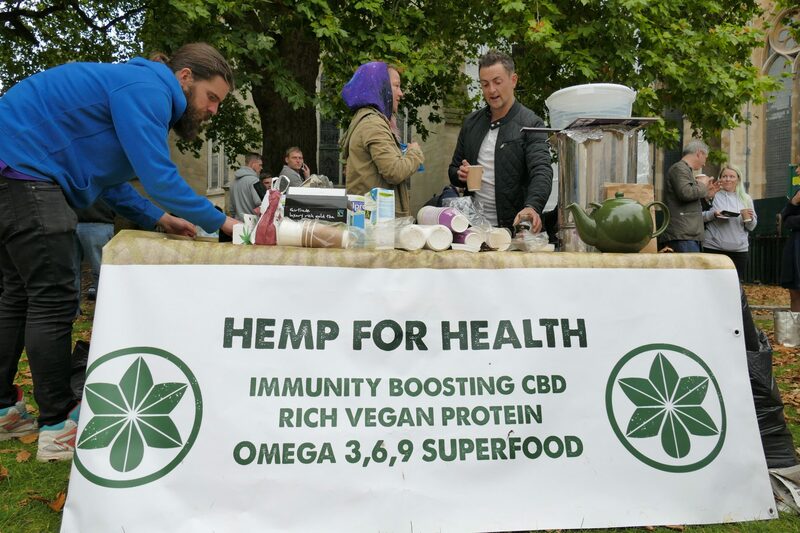 Hempen, an Oxfordshire based cooperative also kindly provided some of their homegrown hemp flowers for free in tea for the gathered guests. 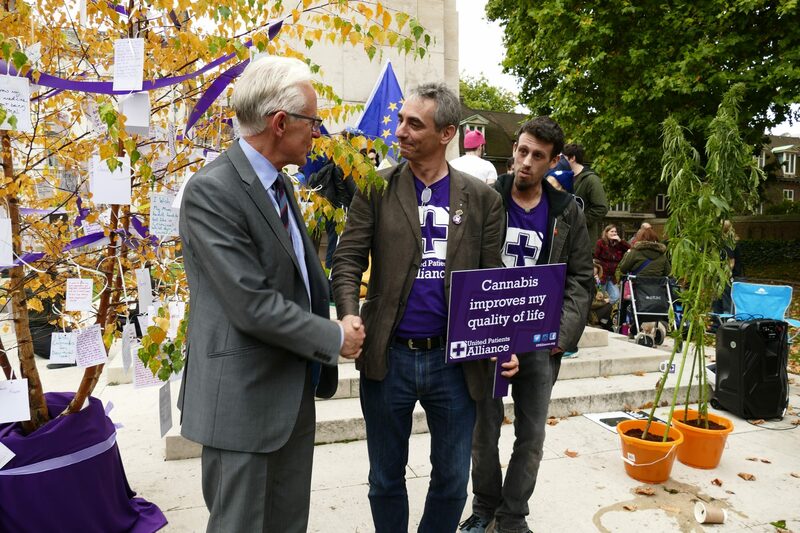 The main protest began at 2pm – the same time Paul Flynn stood to speak in the Commons stating that the “tide of world opinion” was moving towards legalisation of cannabis. 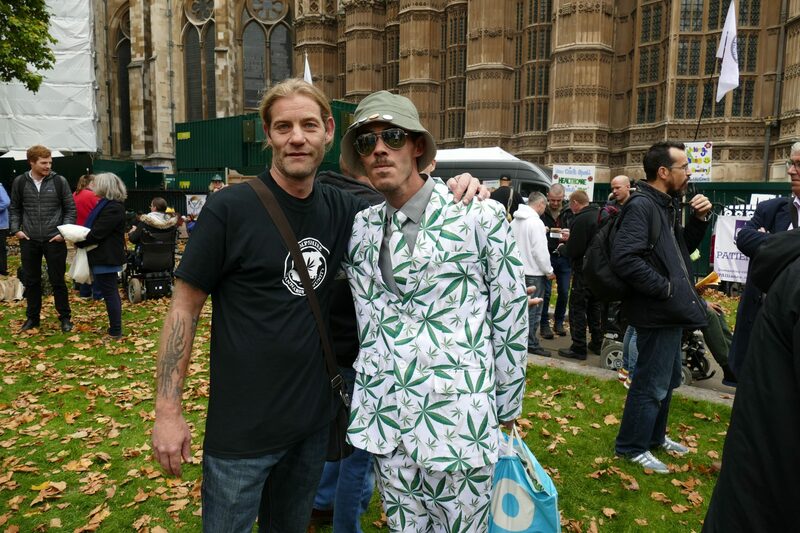 It took place outside the house of commons with many of the usual faces arriving to show their support for Mr Flynn’s motion, which would allow for the production, supply, possession and use of cannabis and resin for medicinal purposes. 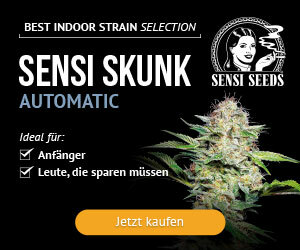 What those purposes would be are yet to be made publicly available. 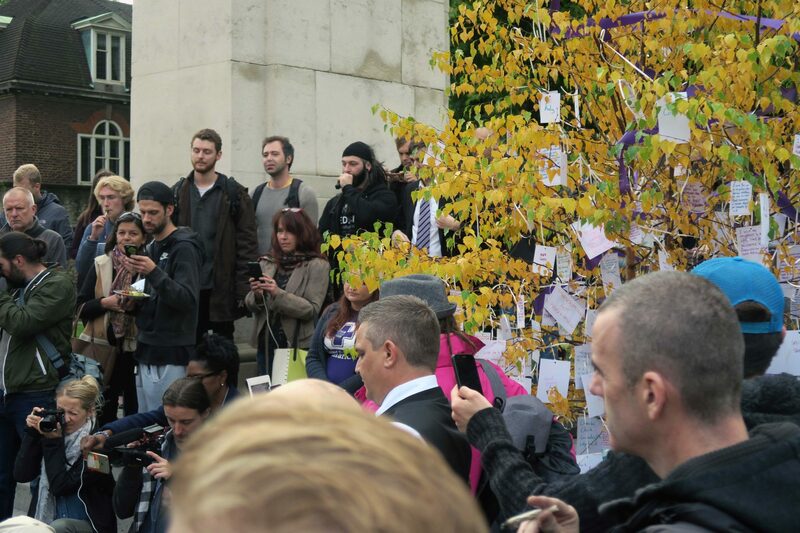 There was a strong feeling of solidarity in the air as organisations from across the UK came together to stand in defiance of the draconian British drug laws. 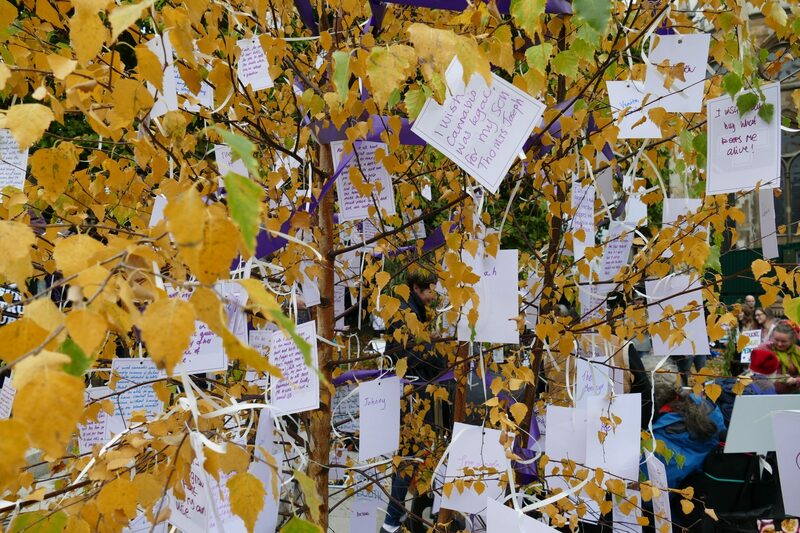 ISMOKE, Feed the Birds, Budd Buddies and UKCSC were all in attendance to support the United Patients Alliance who organised the event. 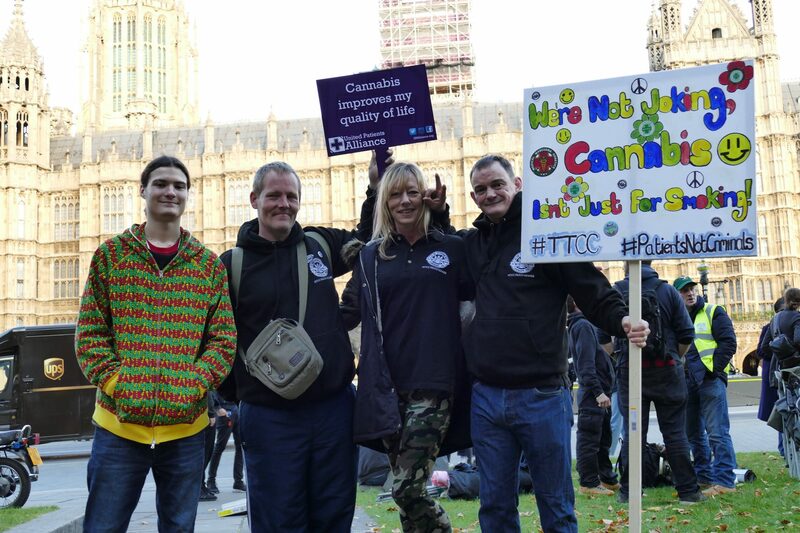 There was also a strong club presence with clubs representing from all over the country: Hampshire Cannabis community, Durham city cannabis club, Hemel Hempstead cannabis club, Brighton Cannabis Social Club, Suffolk Compassion club, central Birmingham division compassion club, Bristol Cannabis Social Club, Tottenham Compassion Club, Suffolk Compassion Club, Plymouth cannabis club and many more showing their support for this potentially rather important bill. The protesters were joined by several sitting British lawmakers: Newport south’s Paul Flynn, North Norfolk’s Norman Lamb, Oxford West and Abingdon MP Layla Moran and Gower’s Tonia Antoniazzi, plus North Wales PCC Arfon Jones who all sat socialising and sharing stories with the amassed consumers, extending perhaps for the first time in generations an olive branch of peace instead of a truncheon of tyranny. 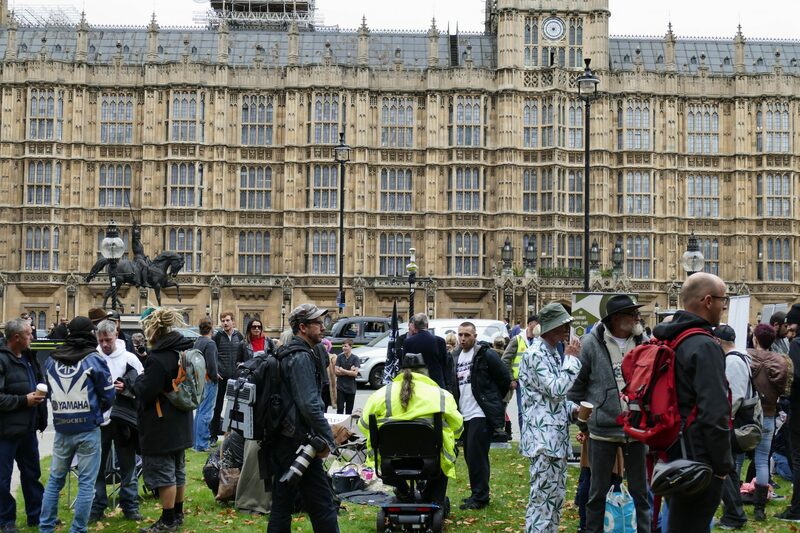 All in all, around 250 cannabis campaigners descended on downing street to support the 10 Minute rule bill by openly flaunting the law and socially consuming cannabis without a single arrest or incident. The bill actually passed during the protest event, meaning that the next phase is the second reading of the bill on February 23rd 2018. The UPA and other activist groups are already planning the next protest on the day to show support for this urgently needed piece of reformative legislation. 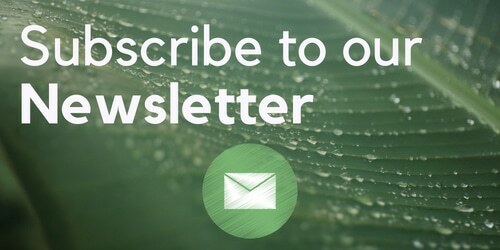 What can you do to support the bill and patients’ rights to access cannabis? 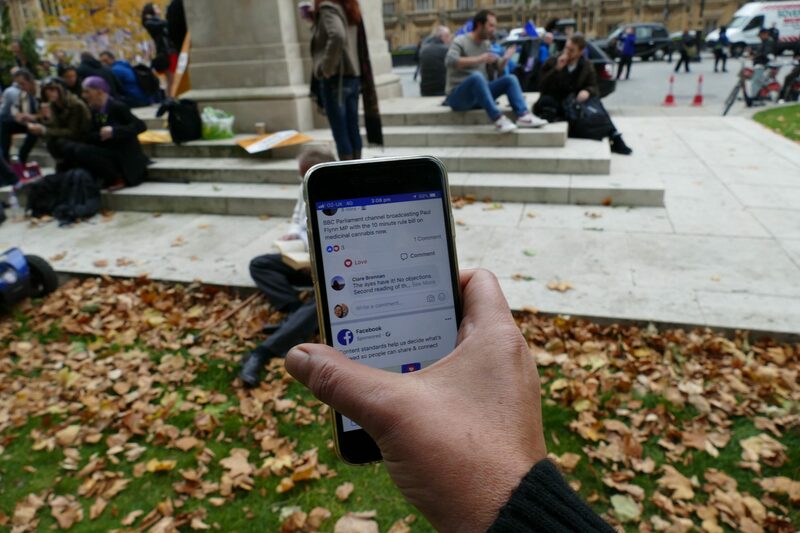 Log on to the Parliament.uk website and find out when your constituencies MP is having an open surgery and drop in and Demand they support the Bill and do all they can to further the urgently needed debate around the legalisation of cannabis in the UK for ALL adults!